Very pleased - better than expected. I bought some cushioned chairs for the uncovered patio, and these covers are perfect for when it rains. I always purchase the "Deluxe" chair cover because it is heavier in weight and higher. The chair covers are great and of good quality. I have several garden equipment covers of the same pattern and they have served well. Thank you. Because it looked cool and we thought it would go well on our back deck. ordered one 2015 very sturdy until hail shredded it spring of 2017.
very sturdy cover stays on even in winter winds. Had them before and they held well. I need a cover for my chairs, and the price was reasonable. my other cover like this one ripped. Looks great. It seems durable and sturdy. Old ones finally gave out due to sun damage after several years of year round use in the Northeast. To cover my chair on back deck. Nice colors, large enough, with good reviews, and the price is reasonable. 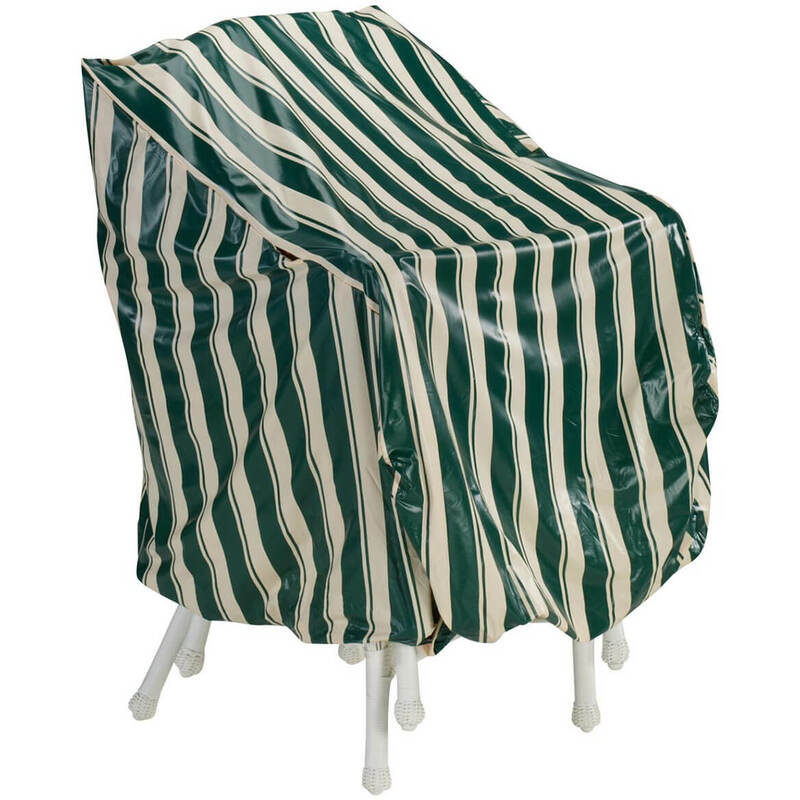 We already have some of these covers - they are very durable and do the job of protecting our chairs! I have purchased these covers in the past and they are very durable and good looking. "We hope it will last longer & be more wind resistant than some of the others we have tried." The measurements of this item seemed to fit what I needed. Beats cleaning chairs time and again. we have rockingchairs...will this cover work? BEST ANSWER: Yes I think they will work, to be sure I would measure across your chair legs to see if the width and length of your chairs are under the 34"X28" size of the covers. No. It will cover the chair part but not the rockers. Is this cover vented anywhere? BEST ANSWER: Consider shopping for some other product. After one season's use the covers fell apart. If Miles Kimball is really serious about the quality of their product, they should offer a money back warranty, if the customer is not satisfied. I prepare to demonstrate my dissatisfaction by returning their covers, to illustrate the facts, regardless. It is not vented anywhere, however, I don't believe that a vent is necessary because it is entirely open at ground level so there is plenty of air circulation from the ground up. We have been very happy with our cover. Not that I can tell. I have 2 of the chair covers and one large table cover and I love them. They absolutely protected my furniture all winter and are very well made. Thank you for your question. The Deluxe High Back Chair Cover is not vented. We hope this information will be of help to you. Not that I noticed when I put it on. the bottom is the only opening. How do you clean these covers? BEST ANSWER: Thank you for your question. They can be hand washed and hung out to dry. We hope this information will be of help to you. I let the rain keep them clean. Will this size fit an adirondack chair? BEST ANSWER: Thank you for your question. You will need to measure your chair. We hope this information will be of help to you.